The last stop on our tour of Hadrian's Wall was the remains of Corbridge: A Roman Town. Corbridge is significant for several reasons - the most obvious being the easily discernible stratification of several eras of Roman construction. During the Roman occupation of the the British Isles, forts were constructed to secure areas of conquest. However, there was a secondary benefit. Roman soldiers meant opportunities for trade. So villages would spring up outside the forts. This process was a convenient way to Romanize (or civilize) the occupied area. 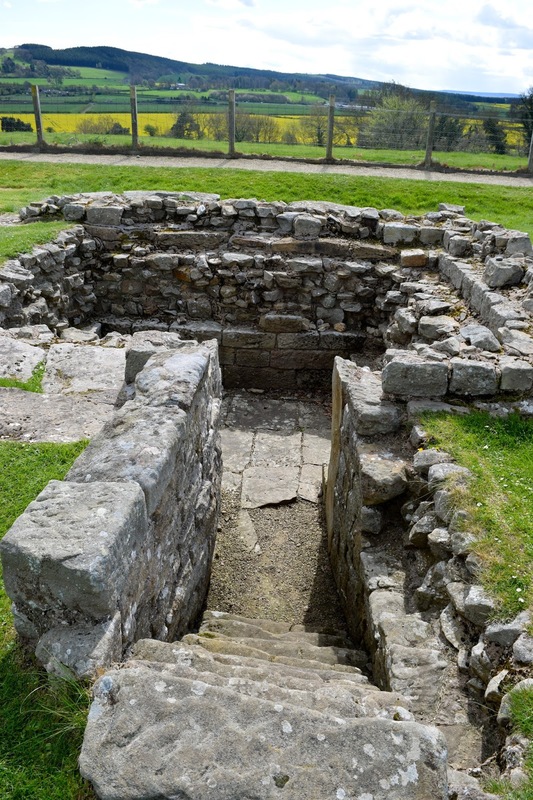 Corbridge became one of two successful Roman towns in the area around Hadrian's Wall (the other being Carlisle). 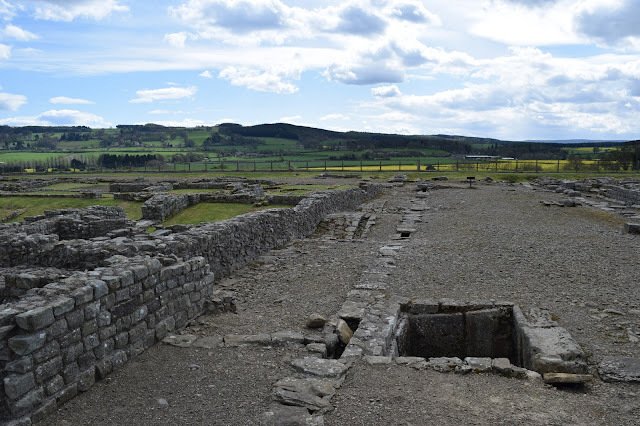 While Corbridge was growing and inhabited right up to the end of the Roman occupation, there was very little development thereafter in contrast to Carlisle. The Roman remains there are buried beneath a castle and modern town. But Corbridge is surrounding by rural lands lending itself to much more extensive excavations. 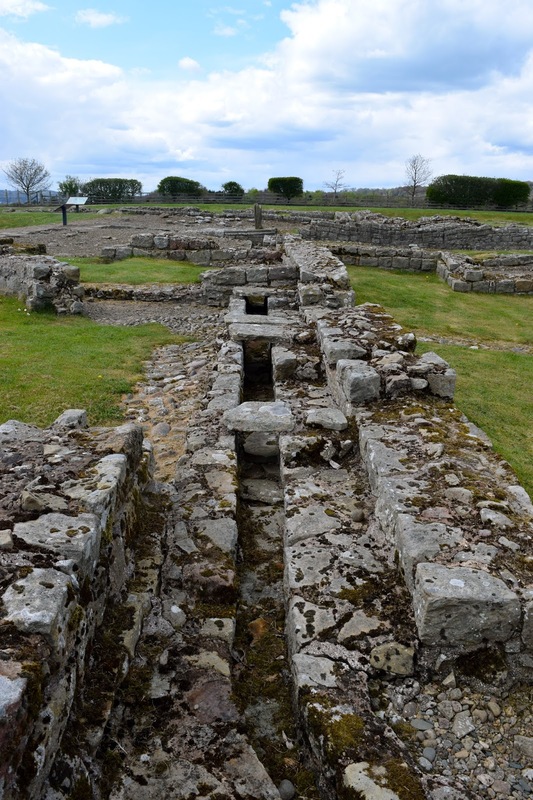 Therefore, the remains of at least four forts built one on top of the other are apparent followed by a large legionary supply base and a full-blown town. Subsidence of the upper layers shows is the first clue that the town was built on top of previous forts. 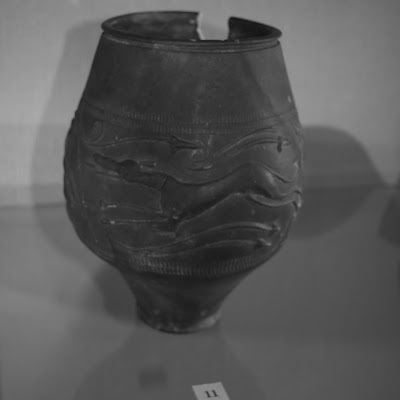 The museum at Corbridge houses a variety of items uncovered in the area including Roman armor and other items found as part of the Corbridge Hoard and the Corbridge Lion which is believed to be a gravestone. When we first relocated to central Florida from North Carolina, we were living in our RV at a resort in the Kissimmee area. In an attempt to get the kids acclimated to the new area, I wanted to get them started in a regular activity. Gymnastics was something in which they were familiar and they both had an interest. 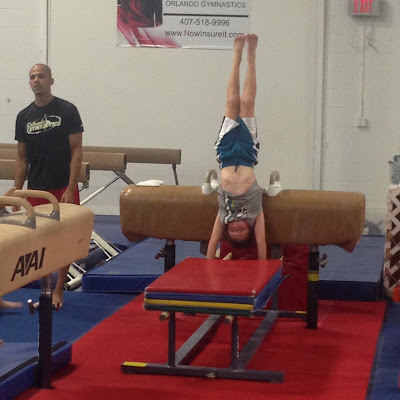 I found out about Orlando Gymnastics and took them to a trial class. Afterwards, I immediately signed them up for the weekly class - that was in January of 2014. Finally, this June, I decided I just didn't want to do the drive anymore. So with several summer trips on the calendar I withdrew them, but with the intent of getting them into another program closer to home at a later date. In the 18 months they trained at Orlando Gymnastics my kids learned a lot and they developed muscle that they would not otherwise have. At their last summer showcase in June, we were able to see them demonstrate all that they achieved in their time there. This video highlights some of the skills they were working on. I can't say enough about the coaches at Orlando Gymnastics - in particular, Coaches Val, JC, Toni, Antonio, and Calum. Coach Val was great at motivating my son and really knows how to speak the language of young boys. JC has amazing strength in supporting the tumbling and flips. Antonio, Toni and Calum were great with my daughter - very encouraging. Coach Caitlyn keeps the whole show moving with a great smile and positive attitude. In my experience, there are a lot of great folks here and great value for your money - just a great overall program. I hope we can find something comparable closer to home this fall.